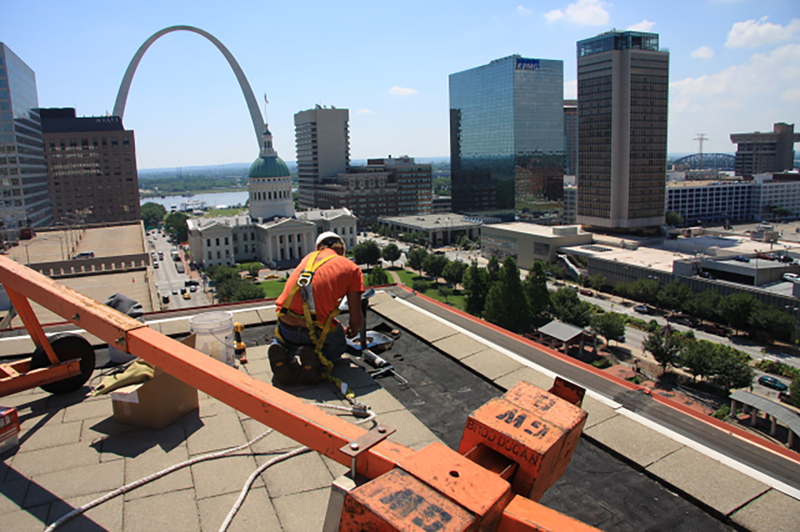 SAINT LOUIS, MO – April 7, 2016 – Etegra, Inc. is taking part in the in the Army Reserve’s National Roofing Program. The U.S. Army Reserve began this initiative in 2005 and it has now entered into a full-fledged program to prolong the life of their numerous facilities. The program based on the assertion that consistent design, quality materials, and expert application could strengthen service life and reduce excessive roof maintenance and repair costs over time. located at Army Reserve facilities across the United States. Additionally, Etegra is tasked with updating the asset management database upon completion of the roof. These are valuable qualities to have, given that the government has passed a mandate for all assets (roofs, buildings, railways…etc.) to be quantified into a database by 2016.
carried out consistent with these principles. Asset Management Plan: Each agency will draft an Asset Management Plan (AMP) that addresses, at a minimum, the FRPC Guiding Principles and the AMP required components. AMPs are subject to Office of Management and Budget (OMB) review and approval. The FRPC guidance includes a “shelf document” that agencies are encouraged to use as a template for drafting the AMP. executive order, as well as the requirements of the Performance Measures Committee. Etegra is a full service architect-engineer (A-E) firm. Services include architecture, engineering, construction management and environmental consulting. Our clients are primarily in the public sector, composed of state, local, and federal agencies such as GSA, VA, NGA, and DoD. We specialize in secured facilities, healthcare, and municipal infrastructure.